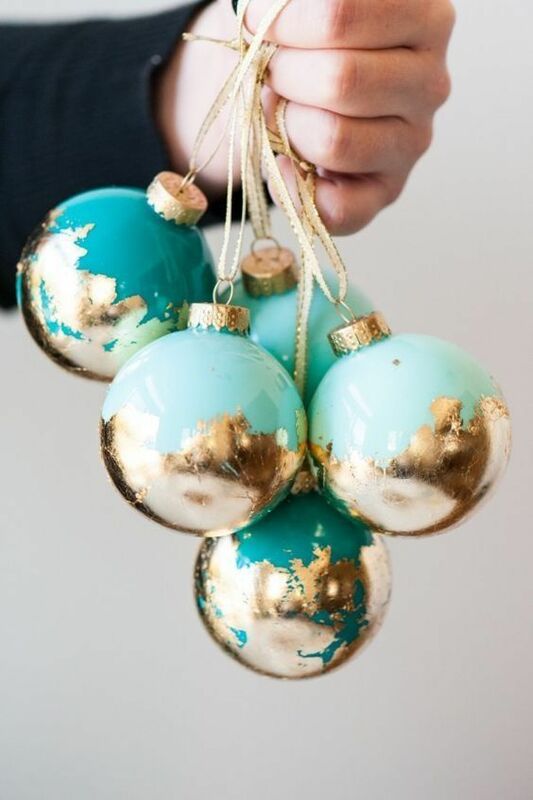 Tired of traditional emerald, red and gold everywhere but still want some color? 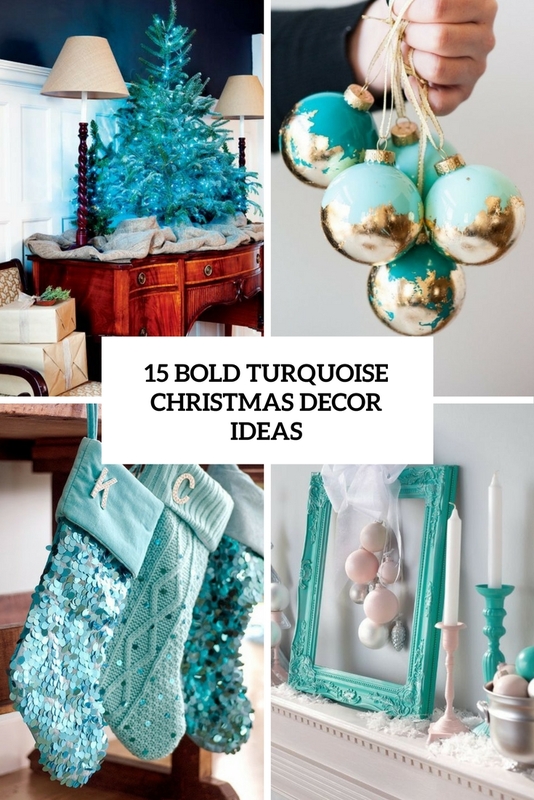 No problem, I have an idea for you – go turquoise! 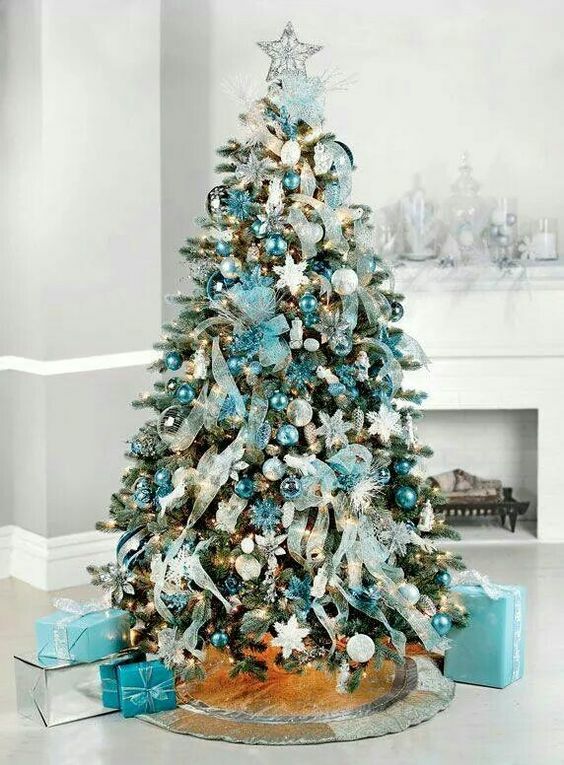 This is rather an unusual color for Christmas decor, it bold and mood-raising, and you will definitely stand out with such decor. 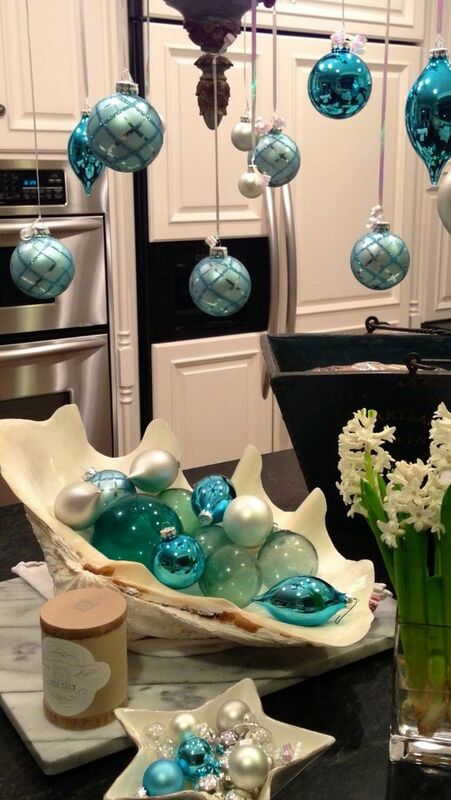 It can be suitable for coastal Christmas decor or remind of frosty winter shades. 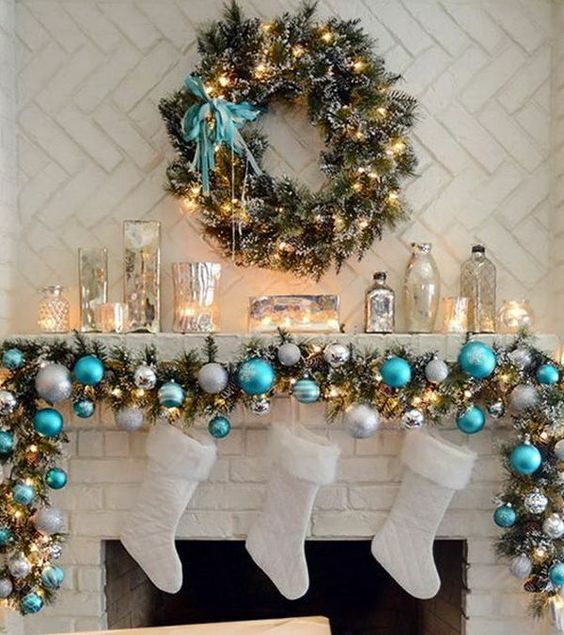 Here are some ideas I’d like to share. 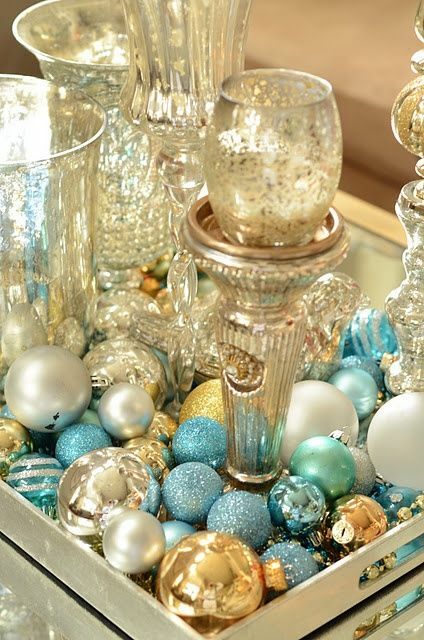 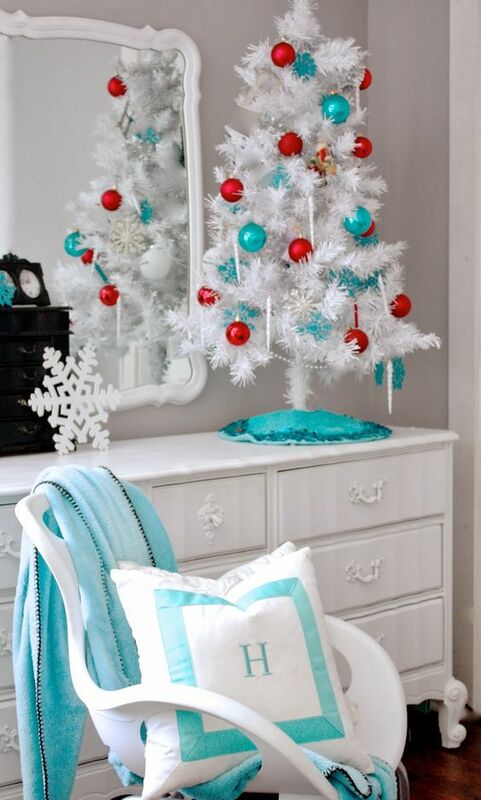 Take some turquoise ornaments and garlands to decorate your Christmas tree. 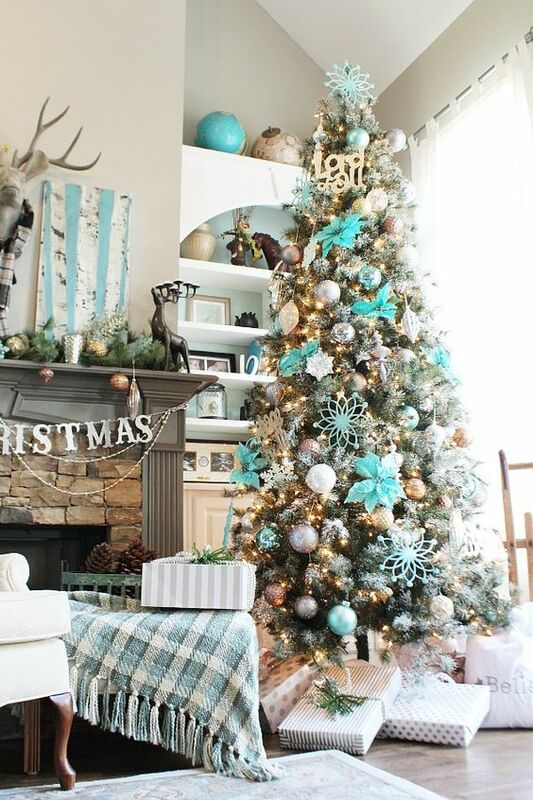 You can mix turquoise with gold, white, silver, emerald and red to create bold combos for your tree and make it stand out. 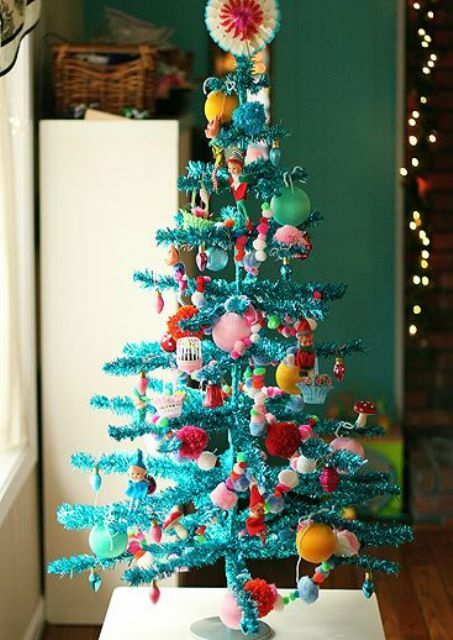 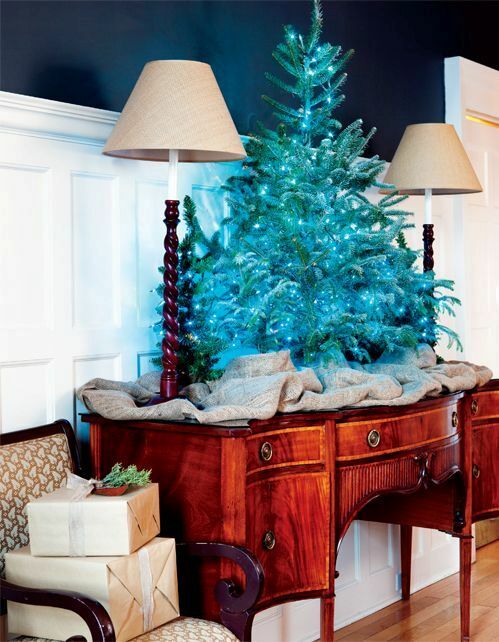 There are also turquoise trees to try, and they definitely require very bold ornaments to stand out even more. 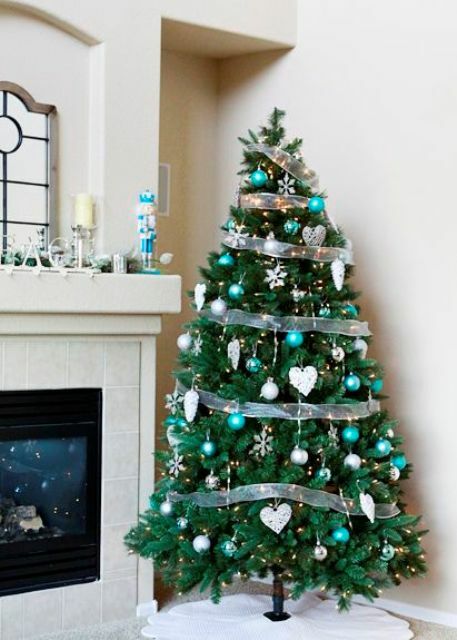 Silver ones will give your tree a costal feel. 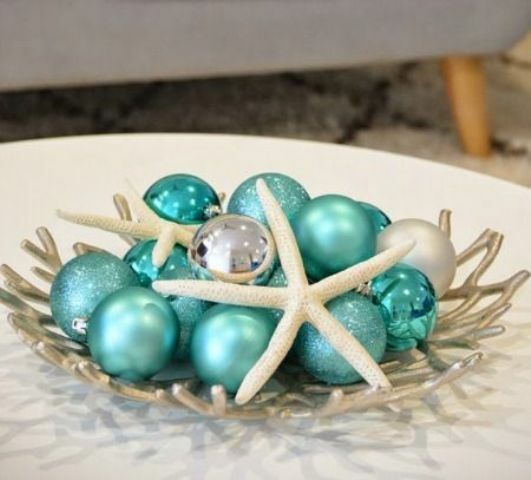 Take turquoise ornaments to make some cool displays, they are perfect for coastal decor, add star fish, shells and other touches you like. 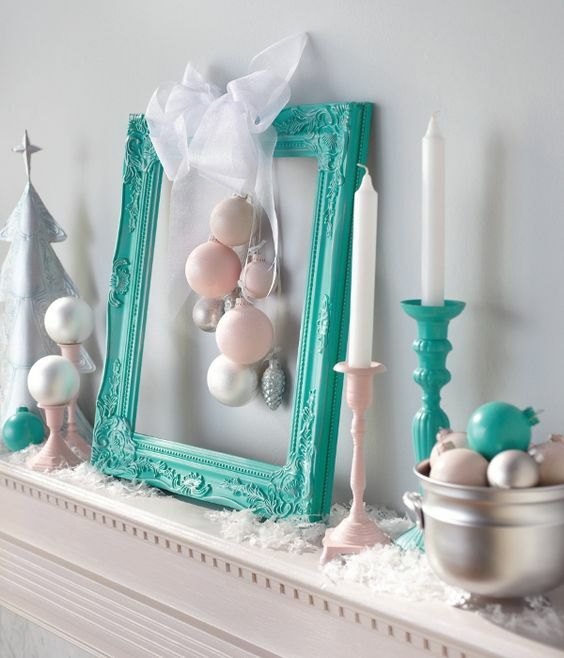 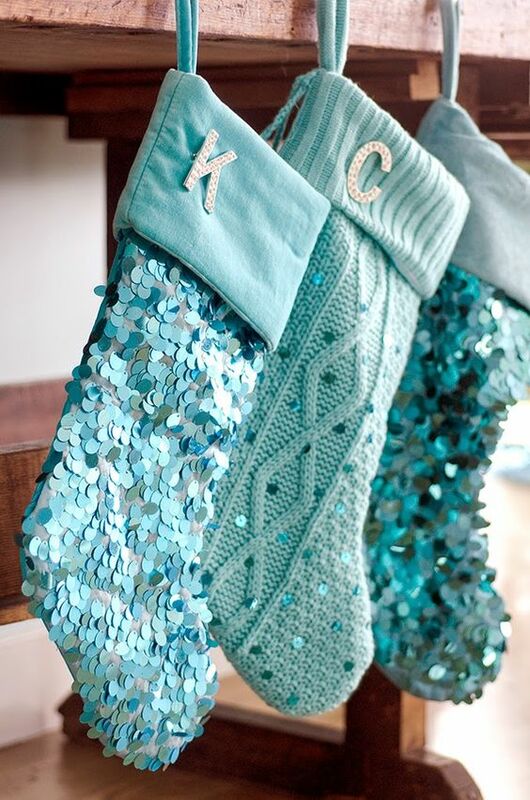 Turquoise stockings with sequins are nice for decorating your fireplace, and you can place some turquoise candle holders and frames with ornaments hanging for cool decor. 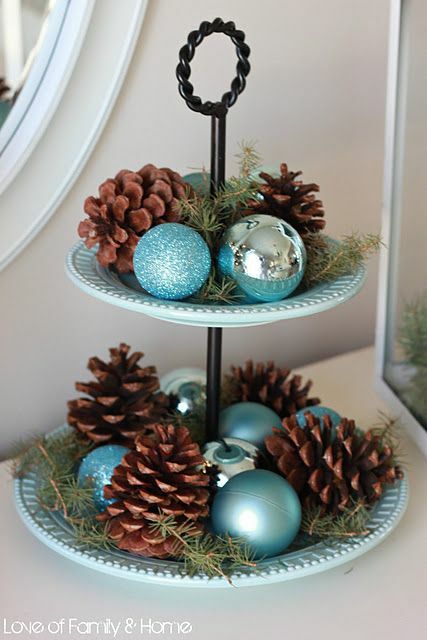 Make a garland of ornaments and evergreens for the mantel, use a cake stand for displaying ornaments with evergreens and pinecones. 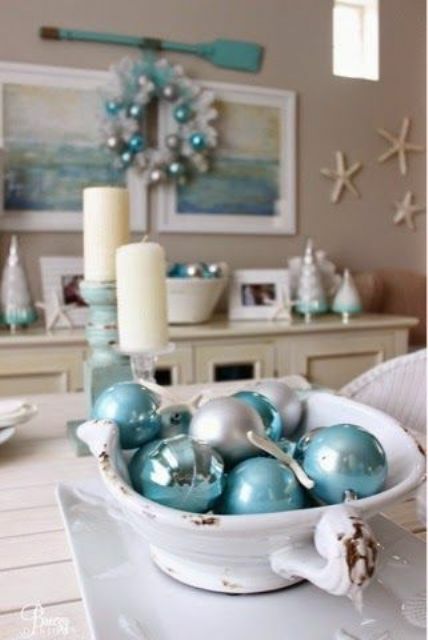 Get inspired by the color and enjoy!